At Cube Automation we can design your packaging line and provide you a turn key solution to wrap, fill, stock, code, weigh… your products. 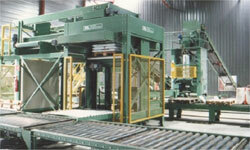 Ask for a panel to control your conveyors and be helped by our automation engineers. We design automated solutions for the weighing and coding of your products. Ask for a traceability system or a weigh and reject conveyor. 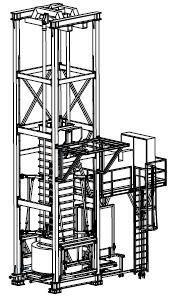 We provide manual to full automated packaging line with computer monitoring and products database. We work with all type of packaging, ask for a custom solution ! At Cube Automation, in collaboration with SNA Machinery, we designed a packaging machine called the Giant flex baler, this machine is designed especially for industries who need to make 4×8 bags. Call us and we can send you a quotation to help you save time and money with our new 4×8 baler. Perfect for industrial products !